Measuring lumbar puncture opening pressure is common practice during spontaneous CSF leak and intracranial hypertension investigation and diagnosis. Less common, but still widely used at some institutions is the practice of looking out for low intracranial pressure via ICP monitoring. Both confirmed and potential CSF leak sufferers often query how pressure is measured, the differences between opening pressure and intracranial pressure recording, and what ranges constitute normal, low and high pressure. 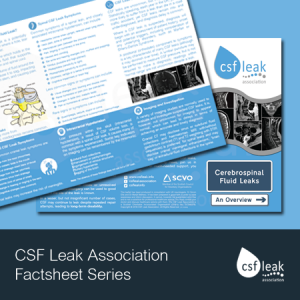 In response, we’ve produced a CSF leak-specific factsheet. Our updated factsheet explores the key ins/outs of measuring opening pressure by lumbar puncture and provides details on the common pressure ranges in tabulated form. Also covered are the basics of CSF production and absorption. 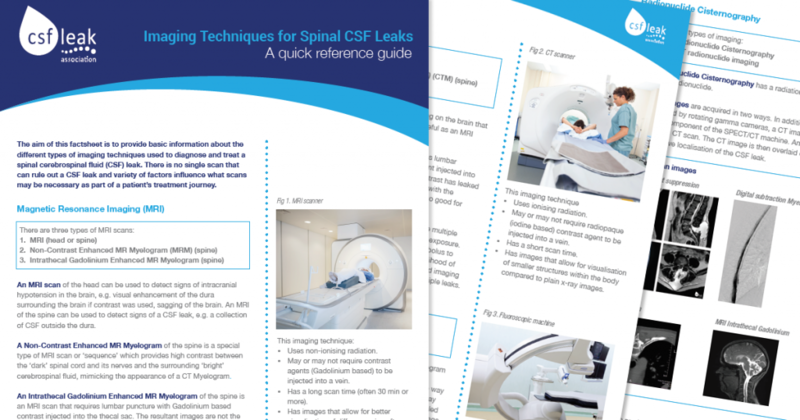 We have updated the factsheet in response to feedback and also referenced a number of new and additional journal articles, including two important publications which confirm that ‘normal’ opening pressure is not an uncommon occurrence with spontaneous CSF leaks. Measuring lumbar puncture opening pressure is common practice during CSF leak and spontaneous intracranial hypertension diagnosis. 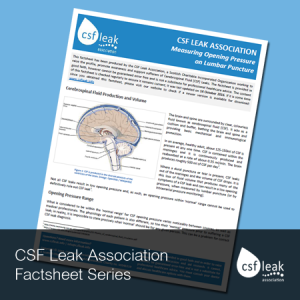 Many confirmed or potential CSF leak sufferers often query how pressure is measured, the differences between opening pressure and intracranial pressure recording, and what ranges constitute normal, low and high pressure. Our new factsheet explores the key ins/outs of measuring opening pressure by lumbar puncture and provides details on the common pressure ranges in tabulated form. Also covered are the basics of CSF production and absorption. The importance of using non-cutting needles for lumbar puncture procedures, in order to reduce the risk of post-dural puncture headache and persistent CSF leak, is also highlighted.